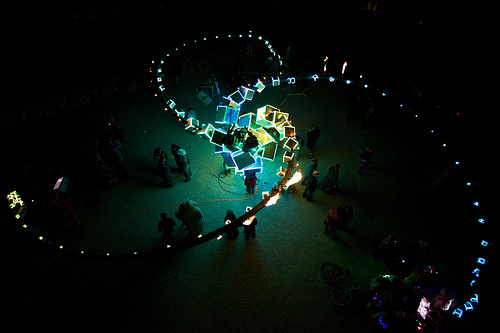 "Syzygryd is a town square for the collaborative creation of music. 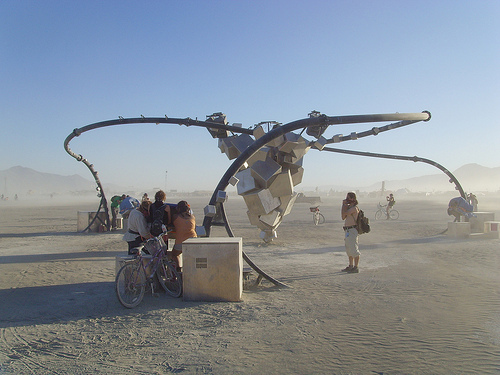 It’s a public space, it’s a sculpture, and it’s a professional musical instrument. 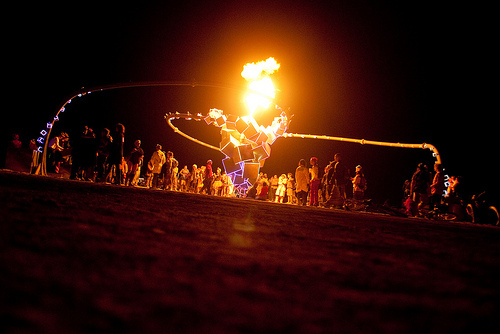 It’s the most beautiful expression we can imagine of the joy we take in community, music, technology, fire, sculpture and architecture. Three large custom hardware grid sequencers. 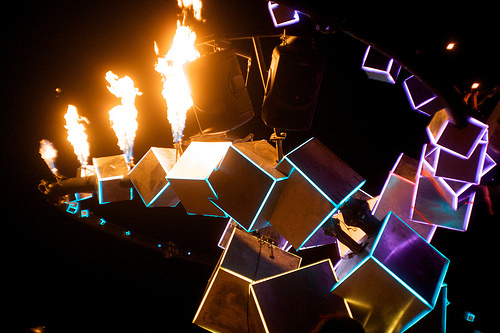 Each controls a single instrument and they share a clock, so they’re all synchronized. By controlling time, pitch, and harmony, these devices make it easy for people with no musical training or talent to create melodious compositions. 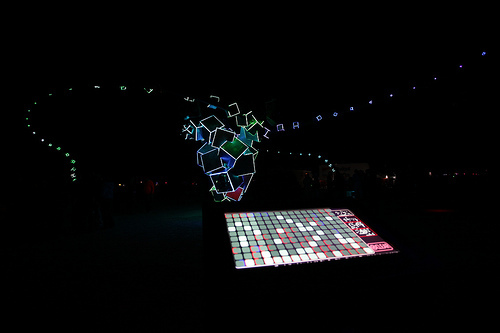 The consoles are arranged at three equidistant points around a 60′ diameter circle, far enough apart that the participants can see one another but can’t communicate verbally. Each console reflects the state of the others. Three people collaboratively create a continuously evolving piece of music without communicating, except through the music itself. 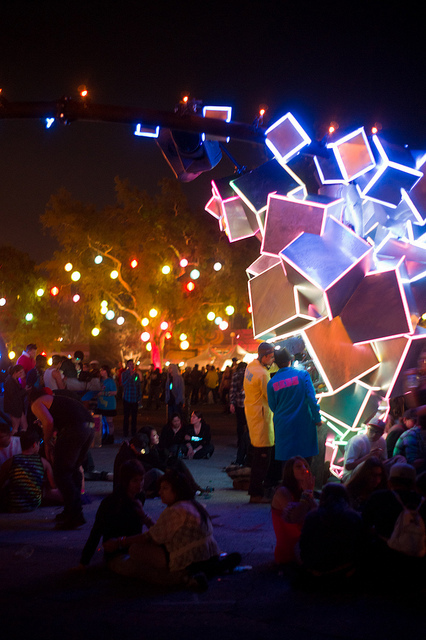 The center of the circle is a huge metal tornado of cubes, pulsing with synchronized sound, light, and fire." More information available at www.syzygryd.com.